British/Dutch trio Cubicolor have shared a brand new single ‘No Dancers’. Alongside the new single, Cubicolor announce their debut European live tour this October, taking in London, Berlin, Amsterdam and Paris. Two new tracks from Melbourne-producer Planète, ‘Alone in Parallel / Faded Memory’, out now on UK dance label Anjunadeep. Having been reasonably selective with new music over the past few years, 2018 is shaping up to be a big year for Planète, with a number of releases on the horizon. He’s also become a staple on the festival circuit, appearing at Splendour in the Grass, Melbourne Music Week and Strawberry Fields over the past 12 months as well as supporting the likes of Jacques Greene and Jon Hopkins on their recent Australian tours. Cubicolor present their debut album – ‘BRAINSUGAR’ – out now on Anjunadeep (“One of the hottest electronic labels in the world” – Hype Machine). Below you can stream the “bewitchingly beautiful” ‘Fictionalise’. Having launched in 2014 with two members, Dutch producers Ariaan Olieroock and Peter Kriek, Cubicolor now welcome British vocalist , and former Duologue front-man Tim Digby-Bell into the band as their third member, following much loved collaborations on ‘Falling’ and ‘Mirror Play’ over the past 12 months. In his time with Duologue, Tim produced, co-wrote and sang on two records. On ‘Fictionalise’ we hear an evolution in Cubicolor’s sound across a host of diverse and infectious tracks, combining beautiful songwriting with brilliantly cohesive clarity, echoing their influences; Radiohead, Massive Attack and Moderat to name a few. Tim’s lyrical depth and haunting vocal style shine throughout the album, which features 8 vocal tracks and 4 instrumentals. The LP’s first single ‘Falling’ is a cascading piece of melancholic house music, which has amassed over 4 million plays on Spotify, topped Beatport’s Electronica chart, and been featured on global specialist radio. Throughout September Cubicolor bring their well-honed electronic sound to venues large and small across North America for a DJ tour, including a string of underground club shows and notable festival performances at Electric Zoo and Nocturnal Wonderland where they perform on Anjunadeep label stages alongside the likes of Âme, George Fitzgerald, Lane 8, HVOB, Henrik Schwarz and Yotto. Cubicolor are currently developing a full live show to be launched later this year. ‘Brainsugar’ is set to be the seventh artist album to be released on Anjunadeep, an A&R hotbed celebrated for the release of debut LPs from Dusky and Lane 8. Breakthrough electronic act Cubicolor launched in June 2014 with their ‘Next Planet EP’, released through tastemaker electronic label Anjunadeep. Followed by their ‘Got This Feeling EP’, both EPs, via their deep warm organic sounds gathered acclaim across the board. Their 4th EP for Anjunadeep, titled ‘Down The Wall’, was recently followed by a remix of the amazing ‘X Machina’ record from Howling, on Monkeytown/Counter Records. Ahead of their debut album in early 2016, Cubicolor arrive on Edu Imbernon’s breakthrough label Fayer, with their single, ‘Falling’. Fayer is fast becoming the go to label for song based indie-influenced electronic music, on the back of releases from David August, Maya Jane Coles, Adriatique, and Agoria. Their 5th release marks Cubicolor’s first foray into a vocal collaboration — ‘Falling’ features London based Tim Digby-Bell, one of the founding members of the experimental-indie band Duologue. The single will be available in complete form on January 25th. ANJUNADEEP 07–the seventh installment of their acclaimed iTunes Dance Chart-topping series out now (September 11)–sees ANJUNADEEP showcase the label’s sound across two discs of cinematic house, techno and electronic. 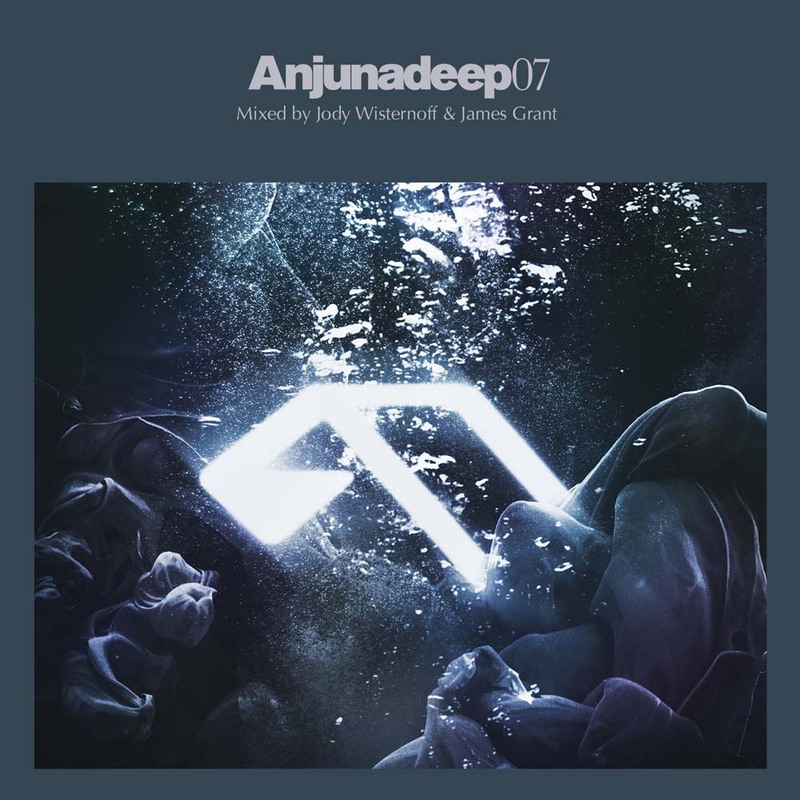 Mixed by JODY WISTERNOFF & JAMES GRANT, ANJUNADEEP 07 takes the listener on a sprawling journey through the deeper waters of electronic music. The first part of the double mix kicks off with beautiful electronica from label favorites and new faces alike such as Esteble, Dems, Solomon Grey, JODY WISTERNOFF and 16 Bit Lolitas, before burning slowly through exclusive new tracks from Yotto, Lancelot and Lane 8. Disc 1 closes with deep gems from label stalwarts Kahwe, John Monkman and Vincenzo. Part two of the compilation is a sublime showcase of the label’s deep dancefloor sound, beginning with gentle melodies from Croquet Club, Ryan Davis and Cubicolor, before giving way to trippy contributions from Dave DK and Maribou State, and then the blend of darker atmospherics with warm lush melodies from Matthias Vogt, Dusky and Lancelot. New additions to the label roster Moon Boots and Way Out West lead us through mesmeric textures and hands-in-the-air moments to a fitting finale–Global Communication’s first new material in 18 years. An A&R hotbed, the label is celebrated for releasing the debut LP from Dusky-now one of house music’s most in demand acts, nurturing emerging talents such as Lane 8, Croquet Club and Cubicolor while also working closely with legendary artists like Tom Middleton and Way Out West. Label boss JAMES GRANT has built a cult following over the years, with his mixes and compilations an annual highlight in the Anjunadeep calendar, while Bristol’s JODY WISTERNOFF, one half of legendary act Way Out West, has a reputation as a old-school crate digger and talent spotter, as his widely popular radio shows and packed touring schedule can attest to. Dedicated to deep and emotive electronic music, ANJUNADEEP holds a unique position in the modern dance music world, championing music heard on the huge stages of Coachella and Electric Daisy Carnival to the intimate dance floors of Europe and everywhere in between. With glowing press coverage as diverse as The Wall Street Journal and Resident Advisor, the label keeps itself firmly rooted in the European underground while taking North America and beyond by storm. This widespread appeal and ability to fluidly blend music from different ends of the electronic spectrum has seen recent releases pick up massive support from global tastemakers including Zane Lowe, Pete Tong, Annie Mac, Jason Bentley and more. Admittedly, it’s hard to find a DJ on the circuit that hasn’t been playing ANJUNADEEP’s releases over the past 12 months-with Sasha, Eric Prydz, Laurent Garnier, Tensnake, Lee Burridge, Danny Tenaglia, Todd Edwards, Gorgon City, Mano Le Tough, Tiga and Guy Gerber amongst those supporting the label in just the past year. Further, starting today fans can sign up and stay up-to-date with the upcoming label tour set to begin later this year. Note–Presale Registration for the ANJUNADEEP Tour ends: 12am PT on Thursday, September 17; and Presale Opens (with an Email Notification): 10am PT / 1pm ET on Friday, September 18. Purchase ANJUNADEEP VOLUME 7 here: iTunes, Spotify.